First, four GMAT CR practice questions of this genre. 1) The blue-tipped Puffer is a migratory bird that is found along the coast of this state in summer months. The Puffers enjoy the seeds of Thomson’s Mulberry trees; because these trees are plentiful in the state’s Coastal Park, traditionally many blue-tipped puffers would be found in the park during summer months. Ten years ago, the grey fox, a primary predator of the Puffer, was re-introduced into the park, and their number have been thriving. Over that time, we have seen many fewer Puffers in the park during the summer months. Clearly, the Puffers are choosing to spend their summers elsewhere. Which of the following would be the most important to determine in order to evaluate the argument? (A) What other birds and small mammals the grey fox typically hunts besides the blue-tipped Puffers. (B) Whether the grey fox eats the fruit of the Thomson’s Mulberry trees. (D) Whether the range of the grey fox within the park extends all the way to the coast. (E) Whether other coastal areas in the state have seen an increase in the number of blue-tipped Puffers over the last decade. 2) Traditionally, the foundations of houses were made of concrete. A builder is experimenting with using a hard plastic polymer for foundations. A foundation made with the polymer is about the same price to construct and install as is concrete foundation. Unlike concrete, the polymer will not block all water flow and is not prone to cracking with age. The builder argues that houses built with the polymer foundation will last longer. Which of the following must be studied in order to evaluate the argument presented above? (A) Whether repairs to polymer foundations are more expensive than repairs to concrete foundations. (B) Whether soil acidity, to which all stone is resistant, can dissolve the polymer. (C) How dry the soil in this region becomes during typical summer droughts. (D) Whether residents will be able to smell the vapors that outgas from the polymer. (E) Whether consumers seeking to buy a house will trust a house with an alternate foundation. 3) Algorpal Industries produces high quality pneumatic filters. For years, they have primarily served manufacturers of domestic agricultural equipment, and over time, this market has been decreasing. A consultant recommended that, with a minor modification, Algorpal could expand into pneumatic filters for biomedical research technology, a rapidly expanding market. The consultant argued that this single change could reverse a ten-year decline in Algorpal’s profits. Which of the following would be the most useful to establish in evaluating the consultant’s recommendation? (A) Whether other markets, such as food processing and food service, would offer greater opportunities for potential profits. (B) Whether the number of biomedical devices at any single research center is greater than the number of pieces of equipment requiring filters on a single farm. (C) How the ambient indoor air quality in a biomedical research center compares to the typical outdoor air quality in an agricultural zone. (E) Whether countries with expanding agricultural sectors would use farm equipment similarly to the domestic equipment current served by Algorpal. 4) The cafeteria of a certain elementary school provides a free lunch every day to the entire student body — a significant expense in the school’s annual budget. A vice principal was exploring cost-reducing measures that would not compromise nourishment. A local Italian restaurant offered the school a large number of pizzas at a vastly reduced bulk rate. The pizzas were served one day, and afterward, the vice principal calculated that the cost of the pizza and delivery was slightly more than the average cost of typical cafeteria lunch day. Therefore, he concluded that the school could not save money by replacing a day of cafeteria lunch with a day of pizza from this restaurant. Which of the following would be most useful for evaluating the conclusion drawn by the vice principal? (A) How many pizzas were uneaten at the end of that day’s lunch. (B) Whether pizza provides the same level of nutrition as a typical cafeteria lunch. (C) Whether another Italian restaurant in this town would provide a similar deal and offer free delivery. (D) Whether other, more expensive dishes from that Italian restaurant, would provide a more balanced and varied set of nutrients. (E) Whether the faculty preferred the pizza to the typical cafeteria lunch. 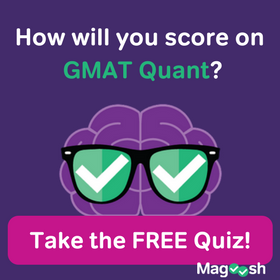 In this GMAT CR genre, the goal is always the same: among the five answers, choose the one that is most relevant to issue. How do we do this? Well, think about this from the test-writers perspective. If only one of the answers is truly relevant, the other four have to be irrelevant but good distractors. A typical prompt of this genre goes something like this “Issue A involves factor X, factor Y, and factor Z. Blah blah blah. I conclude that factor Y is blah blah blah to issue A.” In other words, the prompt will discuss several factors, then the argument, the conclusion, will be about only one of those factors. Then, among the answer choices, many of the wrong answers, the distractors, will focus on the other factors. For example, suppose the topic is sports cars. The prompt may talk about how expensive they are, how much the insurance costs, and how dangerous they are at high speeds. The conclusion, say, is about the danger at high speeds. The distractors, the wrong answers, will be about cost and insurance and speeding tickets and all kinds of things tangentially related to the prompt. Success on these questions involves being able to distinguish something truly relevant to the specific issue at hand vs. something else mentioned but not part of the specific issue. If you had some insights reading this, you may want to go back to the practice problems and take another look before reading the answers below. If you would like to share anything, or have any questions, please let us know in the comments section below. 1) The credited answer is (E). The argument is attempting to explain the drop in the number of Puffers. The conclusion is: the Puffers have gone somewhere else. We need to evaluate: are the Puffers somewhere else? That’s precisely what (E) address. In all likelihood, at least some Puffers were eaten by the gray fox, but unless we can establish that a large portion of the Puffer population has been hunted and consumed by the fox, this is not directly relevant to the argument. All the other answers concern the fox — in the case of (A) & (D), even if we knew the answers to those questions in great detail, it wouldn’t resolve the question: have the Puffer been eaten by the fox, or are they somewhere else? Choice (B) is suggestive, in that it theoretically might put both the Puffer and fox in proximity of the same tree type, and choice (C) is very suggestive, summoning an image of a fox hunting a Puffer, but even with this last one, if we knew for a fact, say, that the fox runs much faster than the Puffer can fly in the first ten seconds of take-off, then we absolutely would know that fox could catch a Puffer on the ground, and probably we could assume that at least a couple times this actually has happened, but it still wouldn’t resolve the fundamental question: have the majority of Puffers been eaten, or are the majority somewhere else? Only (E) addresses that question. 2) The argument’s conclusion is quite specifically: the houses with the polymer foundation will last longer. That’s the specific issue, the issue of which lasts longer. The credited answer is (B), because if the soil acidity dissolves the polymer, that foundation will not last as long as the concrete. Choice (A) gets into financial considerations, which would be a concern for homeowners, but even if one type of foundation is more expensive than the other to repair, that doesn’t tell us anything about how frequently either needs to be repaired or how long either might last. Choice (C) is a strange distractor: the prompt mentions water flow, which might seep through concrete, but in drought months, there would be no water flow. Both foundations would be bone dry. Knowing the answer to this question would tell us nothing about how long each type of foundation will last. Choice (D) gets into a quality-of-life issue, and indeed folks living in the house might not like the smell, might sue the builder, etc. 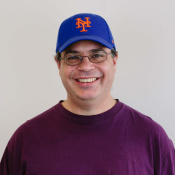 etc., but none of that affects the central issue: how long will the foundation last? Choice (E) gets into another economic issue: will people buy these houses or not? Will people trust these foundations? Whether folks trust them or not, and whether the houses sell at high prices or at bargain low prices, do not affect the fundamental issue: how long the foundation will last. 3) The core of the consultant’s argument is: branching into this new sector will bring new profits, profits to replace what was lost in the agriculture sector. The credited answer is (D): whether branching into this new biomedical sector indeed will replace the former profits. Choice (A) raises a different question, profits from a third sector not mentioned. This might offer yet another alternative, but it’s not directly relevant to the question: will entering the biomedical sector replace former profits? Choice (B) might appear to be relevant to the question of profits, but suppose we knew the precise answer to this — suppose we knew, say, that each farm had five machines and each research center had three machines. Then what? How many farms overall are there? How many biomedical research centers overall are there? We don’t know, so we can’t evaluate the question of total profits. Choice (C) is an interesting distractor. Whatever a pneumatic filter may filter, it probably has something to do with air. Are these filters filtering ambient air in the room, or are they filtering some particular internal channel within the machine? We don’t know, and even if we did, we would still be a long way off from deciding anything about profits. Choice (E), like Choice (A), offers another option, another avenue that Algorpal might decide to follow instead of, or in addition to, the consultant’s recommendation. The task here, though, quite specifically, is to evaluate the consultant’s recommendation. How successful another avenue would be tells us nothing about how successful the plan recommended by the consultant would be. 4) The vice-principal’s concern was about whether a pizza lunch would save the school money. As it played out, the cost of the pizza lunch was slightly more than a usual cafeteria lunch would cost. The credited answer is (A): if pizzas were left over, that means the school could have ordered fewer pizza and still feed everyone; if the school ordered enough fewer pizzas, that would bring the cost of the pizza lunch below the cost of the usual cafeteria lunch. That’s why the number of boxes of leftover pizza is a crucial issue for evaluating the vice principal’s conclusion. While nutrition was mentioned in the prompt, and while pizza is not the most nutritious food by itself, this is not directly relevant to the conclusion about the cost-effectiveness of the lunch. Choice (B) is not relevant. Notice that the vice principal’s conclusion is very specific: “a day of pizza from this restaurant.” Another restaurant might be another option, but it wouldn’t alter a conclusion about this restaurant. Choice (C) is not relevant. Like (A), choice (D) explore the irrelevant issue of nutrition. Furthermore, those other dishes are more expensive, so they definitely would not be cost-effective. This is completely irrelevant to evaluating whether a pizza lunch from that restaurant would be cost-effective. Whether the faculty like the lunch or not has no bearing on how cost effective the pizza lunch might be. Choice (E) is not relevant. Hello, I just wanted to leave a comment regarding my analysis of question 1 and I hope it helps. This phrase, in my opinion, serves as a restriction to the habitat of the Puffers and this rules out the any other place as the Puffer’s habitat during summer months, other than coastal regions in this particular state. Using this reasoning, I found answer E to be the only correct option. If the Puffers moved elsewhere then their population would increase in other regions along the coast of the state. If the population of the Puffers didn’t increase in other regions along the coast then the conclusion is flawed, something else must be affecting the population of the Puffers in Coastal Park. Thank you very much for showing such an insight included in these 4 CR question.This makes me feel more confident. You are quite welcome! 🙂 I’m glad you found it helpful. Best of luck to you! My read of the Puffers question was that the conclusion wasn’t just that they were going somewhere else, but more fully, that they were going elsewhere BECAUSE THEY WERE AFRAID OF THE FOXES. If the conclusion is viewed this way, whether or not the foxes are eating the berries becomes very relevant. If they too eat them, then the birds probably stopped going there because there were less berries there, the only reason they went in the first place. If the foxes don’t care about the berries, then the conclusion is more likely to be true. It’s true that the motivation of the Puffers could be read as part of the conclusion, perhaps, but the “going somewhere else” is non-negotiably part of the conclusion. That’s the real open question of this passage: what happen to all the Puffers? There used to be buckets of them in the Coastal Park, and now there are few. Where did they go? This discrepancy is crying out for explanation. This author presents the view that the Puffers went somewhere else. This is an obvious contrast to the other ostensible explanation: viz., that the Puffers declined in numbers because they were eaten by the fox! By comparison, the fact that the Puffers were afraid of the fox is relatively uncontroversial, if you see what I mean. Juicy arguments are not about things to which almost everyone would agree, if you see what I mean. That fact is almost too obvious, too hard to imagine opposing, for it to be a GMAT CR conclusion. Something that helps us evaluate the argument absolutely must address the non-negotiable part of the conclusion. It may address the other part also, but that would be a “bonus,” an extra. Choice (B) entirely fails to address the non-negotiable part of the conclusion. In fact, it doesn’t necessarily help us evaluate whether the Puffers were particularly afraid of the foxes. Notice that what they eat are not the same: Puffers eat the seeds and foxes eat the fruit. It’s not clear that the time of year when the fruits would be ripe would be the same as the time of year when seeds would be abundant — maybe. If the fox eat these fruits, maybe it puts them in proximity with the Puffers, which would increase the threat, maybe. It’s not clear that if the foxes were eating the fruit, that this would leave any fewer seeds for the Puffers. If we answer “yes” to the question in (B), it would provide limited help at best in evaluating just part of the conclusion, and not the main part, and an answer of “no” leaves us totally in the dark. I am bit confused with the question 4.. Please elaborate what exactly question asking for ?? My friend, this is the tricky thing about an “evaluation” question. When we evaluate an argument, we are simply trying to determine: is it a good argument or a poor argument? If some piece of information turns out to be a powerful strengthener or a powerful weakener, either way, that helps us to evaluate the argument and answer the question of: how strong is the argument? Sometimes we might have a sense of whether an argument is a inherently strong or weak, but often we do not know whether we will be looking for a strengthening or weakening condition. Does this make sense? Exactly. Of course, the OA asks a question, and we don’t know the answer to that question. Here, if there were several pizzas left over, then we know the vice principal over-ordered in this case, and possibly could save money in ordering fewer. Answering the question, how many pizzas left over, would give us a crucial piece of information in evaluating the argument. can there be a case where i can find both strengthening or weakening options , in answer choices, both at the same question??? if yes , then which to choose ??? more closer one or broader one ? stronger one ?? No, that is not possible. 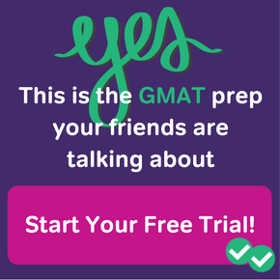 The GMAT will always design questions with one clear right answer and four choices that are unambiguously wrong for one reason or another. 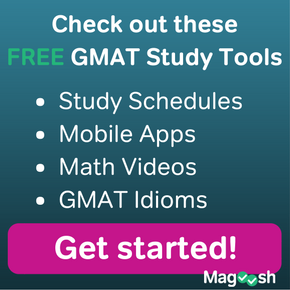 The GMAT doesn’t ask you to choose between shades of “right”. the Puffers are choosing to spend summer elsewhere. Elsewhere here means any place other than cost mentioned in premise. It could be within or outside the state. Whether other coastal areas in the state have seen an increase in the number of blue-tipped Puffers over the last decade? If the answer is Yes it supports the conclusion. I don’t believe you are making any mistake. It’s the nature of “Evaluate the Argument” questions — you are looking for the one concern or perspective which, at least if it is answered one way, will make crystal clear the strength of the argument. In this case, a “YES” answer to (E) makes unambiguously clear that the argument is essentially valid. It’s true — a “NO” argument would leave us with questions: have the Puffers gone further away, say to other states, or have they been eaten by foxes? It’s not always the case that the concern in the right answer will be “double-barreled”, so that either a “YES” or a “NO” will be very illuminating for the argument: sometimes that’s true, but it is sometimes the case that one answer (usually the “YES”) is unambiguously illuminating, but the other answer leaves us with questions. This latter instance is the case here.